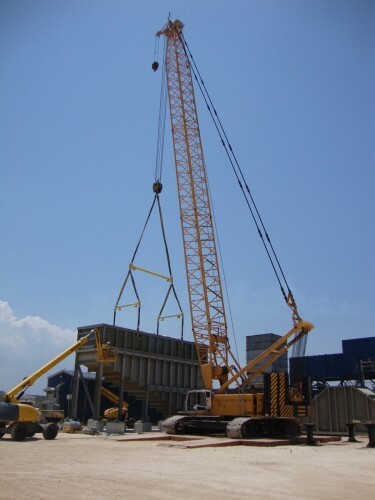 Cambridge Rigging (CR) has been trusted as the Engineered Transport and Rigging partner for the construction of the Boca de Jaruco Cogeneration Power Plant in Boca de Jaruco, Cuba. 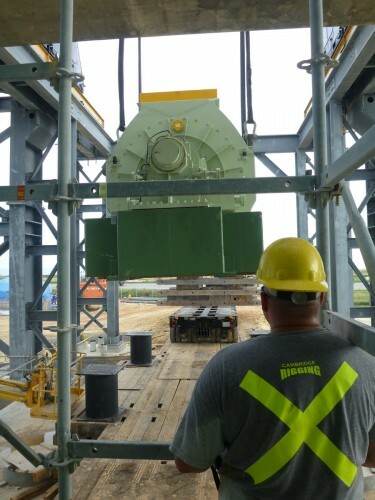 The heavy lifts are currently nearing completion on this successful 3-year project. CR’s involvement began during the project’s engineering stage, with our in-house engineers completing thorough lift studies and transport surveys. 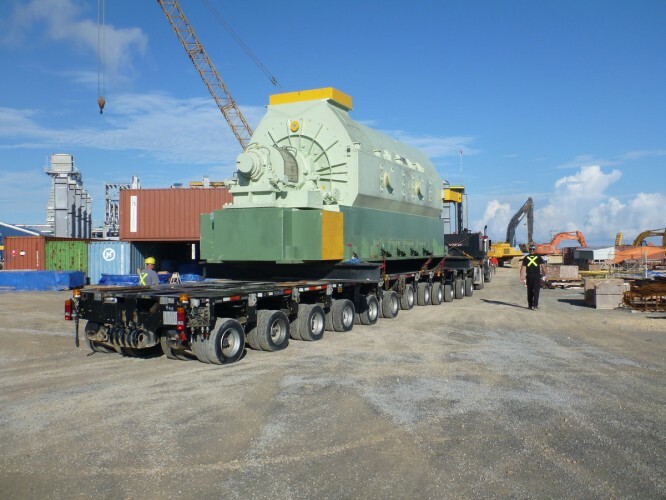 Next, we relocated all heavy components from the Port of Havana to temporary storage at the project site, using 12-Lines of our THP/SL Goldhofer trailers in conjunction with a local barge crane. Finally, all heavy components were installed at site by CR. 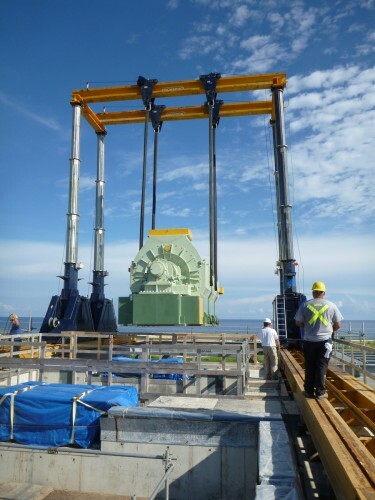 The HRSG Units were hoisted into place with our Liebherr LR-1250 crawler crane, while the 240T generator, LP rotor and HP rotor were set on the pedestal using our 1100Te hydraulic gantry. 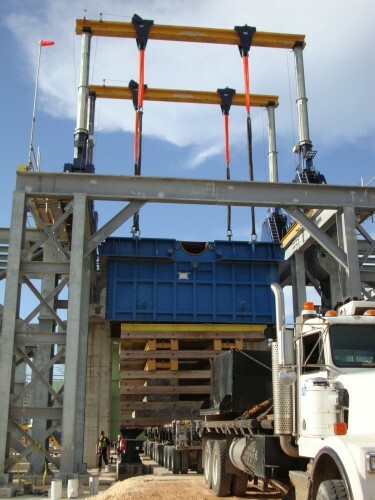 The 140T transformers were set to foundation using CR’s 300T light duty skidding system. Lastly, the Condenser unit was set to its spring pack footings in record time using a new technique, developed by Cambridge Rigging.